Bermuda is in the Atlantic Ocean 660 miles east of North Carolina. It was discovered in 1503 by Spaniard Juan de Bermudez. In 1603 a group of British colonists, led by Sir George Somers, was shipwrecked on the islands for almost a year on their way to Virginia. In 1612 the islands were permanently settled by 60 settlers from Virginia. Bermuda became a Crown Colony in 1684, and became internally autonomous in 1968, although in a referendum held in 1995, it firmly voted agaianst full independence. There were early issues of Bermuda's own coins, firstly hogge (or hog) money was issued from 1616 to 1624, then Birmingham made cartwheel copper coins in 1793. 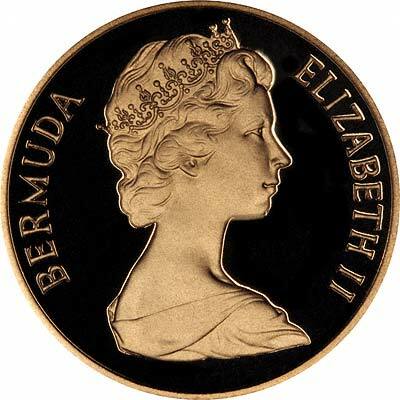 Apart from these issues, Bermuda used British currency until 1970, only issuing two crowns, in 1959 and 1964, before it converted to decimal currency denominated in dollars and cents in 1970. 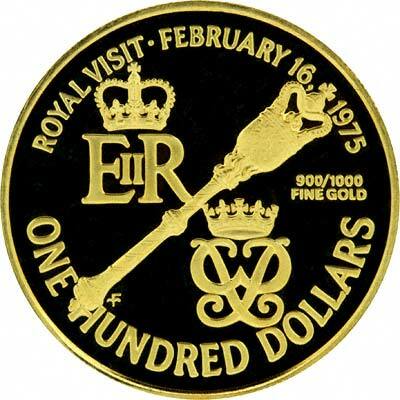 Two years later in 1972, Bermuda changed the parity of its own dollar to be equivalent to the US dollar. 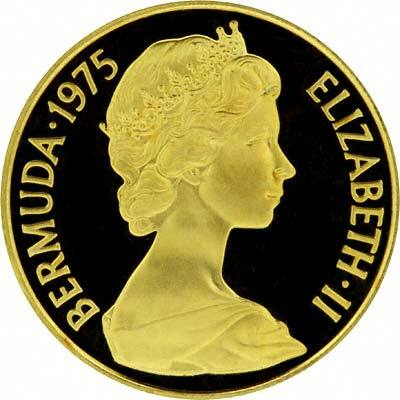 Bermuda's first gold coins were issued in 1970, and include a number of triangular coins with curved sides, known as Bermuda triangles. 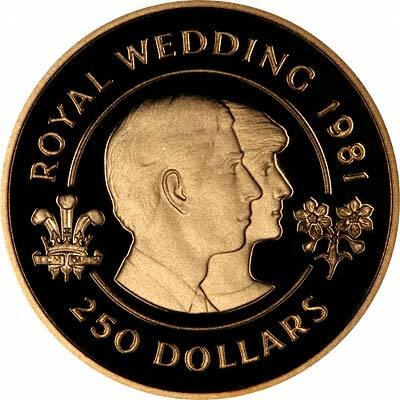 The hogge money was remembered in a commemorative issue in 1989 of a gold proof set. Many denominations have been made in a variety of different specifications. Please contact us prior to ordering for up to date prices and availability. We make an active market in almost all coins, including Bermudan coins. If you have any of these coins to sell, please contact us, or post them to us for appraisal and offer. For Bermuda coins in silver or base metal, or Bermudan coin sets other than gold, please look at the Bermuda Coins page of our original website.